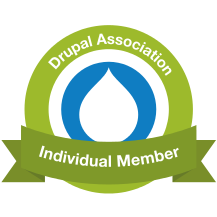 Learn how plugins are used in Drupal, how to create a custom plugin type, and how to then instantiate and use plugins of any type. Read more "Drupal 8 API: plugins"
Learn how dependency injection works in Drupal, and how to register some code as a service and then inject it safely elsewhere. Read more "Drupal 8 API: services and the dependency-injection Container"